It is known that the Sacred House of Allah is cube shaped, and is situated in the heart of the wide circumambulation area in the Sacred Mosque. It is in the open and covered with the shroud that exhibits its greatness and gives it relative protection from the elements. It is the way of Allah, the Almighty, that in His Creation, everything will change through time. The factors and reasons for change arc several, but the most important influences on buildings and structures are climatic factors, mechanical actions and chemical reactions. The last renovation of the Holy Ka'bah was made in 1040 fl. After 375 years, it became necessary to rebuild it because the climatic factors caused peeling and gaps in the surface of the external stones. This damage included the upper and lower parts of the walls but its position precluded it having been done by worshippers. 1. The eroded sections of mortar were removed by suction without affecting the original parts of the building. Then the evacuated area was completely cleaned. 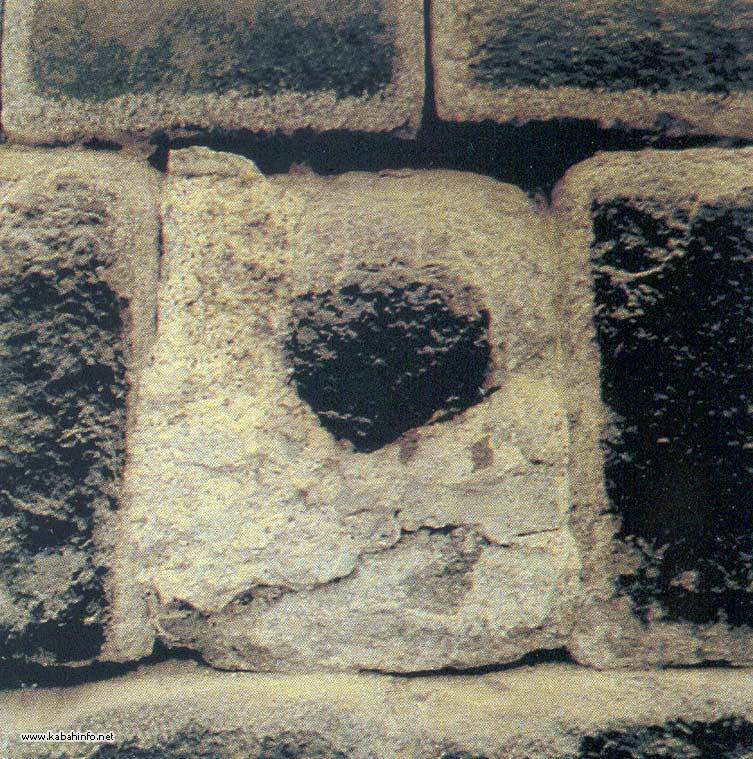 Climate and other factors had allowed water to leak through the stones. White ants (called 'uttah' in colloquial Arabic) were living in some portions. This is not strange, since the Sacred House of Allah was their natural home which they had longed for ever since Allah ordered them to eat away the unjust document which demanded the boycotting of all the Hashmites and others who supported Muhammad (blessings and peace be upon him). This order was hung inside the Holy Ka'bah, but it was destroyed by the white ants in three years' time; all destroyed but the Name of Allah and its glittering lights. 2. 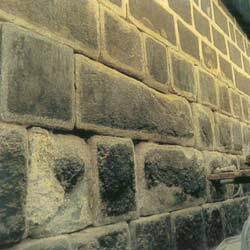 After the removal and cleaning of the affected areas, the surfaces of the external stones of the wall of the Holy Ka'bah were also cleaned. 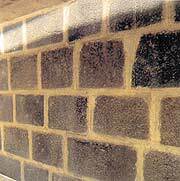 The loose and damp mortar in the gaps was then washed out and dried by automatic air blowers. 3. A thorough study of the types of rocks used in the Sacred House and a comparison of the rocks of Makkah's well-known mountains were conducted. Samples of rocks, resembling the rocks of the Holy Ka'bah, were ground and a paste was made of them in order to analyse geological properties. 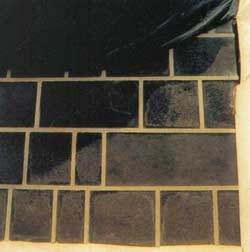 Some adhesive materials that gave more solidity to the basic rocks were used to cover the exterior surfaces of the stones. Then the surfaces were roughened to match the surfaces of the other original rocks. 4. The evacuated portions were injected with a mortar especially formulated for this purpose. This gave more solidity to the areas and lengthened their life span. Sophisticated, modern machinery was used in the injection process to ensure that the paste penetrated into every particle of the interior thoroughly and evenly. 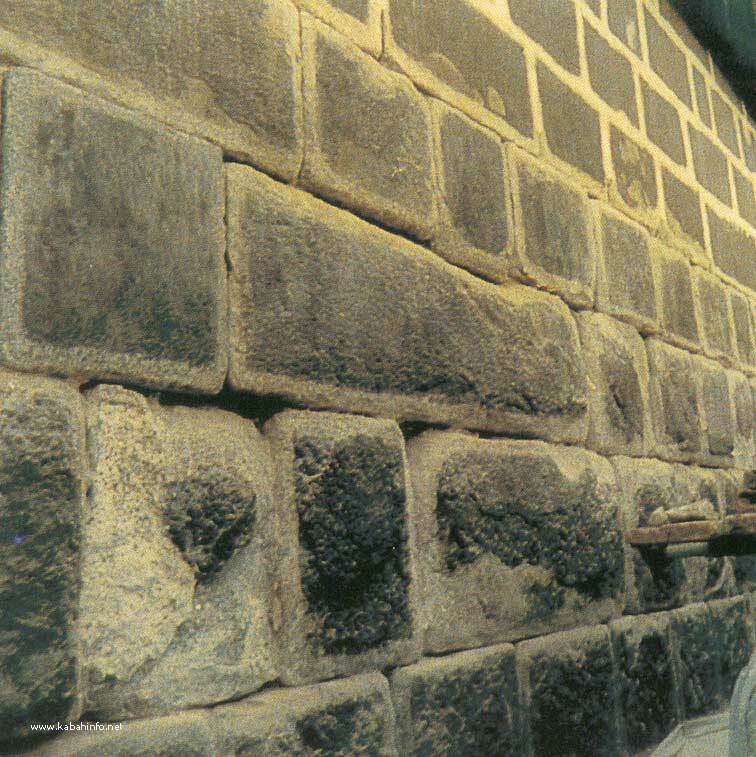 The replacement sections of the outer wall are made of 'rock paste'. In order for the mortar and stone facing to look more authentic, vertical and horizontal lines were scratched onto their surfaces. 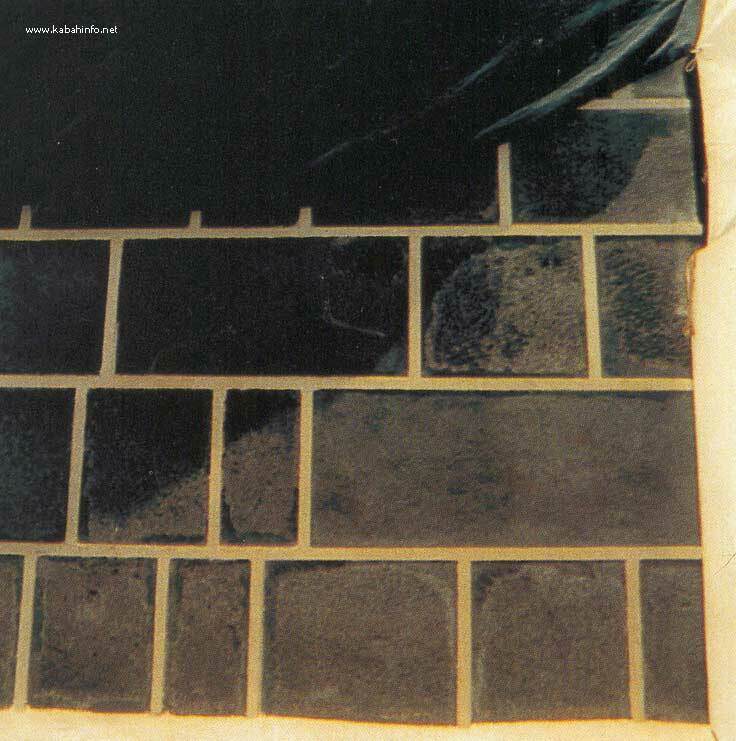 Each stone surface is slightly protruding in order to protect it from weathering. Thus, the external wall of the Holy Ka'bah looks like a new building, but, in fact, it is not. This is due to the perfection granted by Allah, the Most Beneficent, the Most Generous. Next : The Comprehensive Renovation of the Interior of the Holy Ka'bah.